See my recent & upcoming courses. I teach both undergraduate and graduate courses at the University of Chicago, and advise MA and Ph.D. students, undergraduate theses, and independent studies. My courses are frequently cross-listed with Classics, Romance Languages (Italian), Divinity, and the Stevanovich Institute on the Formation of Knowledge (KNOW). My undergraduate courses focus on primary source readings and cultural immersion. Rather than focusing on events, names and dates, I aim to help students plunge into the alien mindsets and experiences of the pre-modern world, to empathize with historical figures and explore what it feels like to live and make decisions in another time. My “Italian Renaissance” course explores the relationship between art, philosophy, patronage, politics and the Church in Renaissance Europe using creative writing assignments, a final project to create a Renaissance artifact (clothing, architectural models, composing Latin poetry, etc. ), and a live simulation of a Renaissance papal election, in which each student plays a unique Cardinal or other participant in events, learning how to see history, not coldly from the outside, but from the inside with the same kinds of bias, temptation, and partisanship which the historical actors experienced. I also focus on advanced writing skills, and give students opportunities to practice non-academic writing. 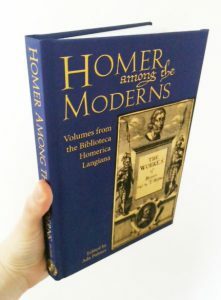 A book about Renaissance editions of Homer, that graduate students wrote, edited and self-published (in physical form and online) in my graduate course on Renaissance Humanism and the History of the Book. There is no better way to learn about the process of preparing a text for publication than to do it. My graduate courses focus on cultural and intellectual history approaches, and deep immersion in context. My 2015 graduate course on “Renaissance Humanism” focused on the history of the book, held in Special Collections where each week, as we moved forward through generations of humanists, we looked at editions of the classics that would have been in that humanist’s library: manuscripts at first, then the first bulky printed books, then smaller and more sophisticated editions as 1450 moved toward 1550. 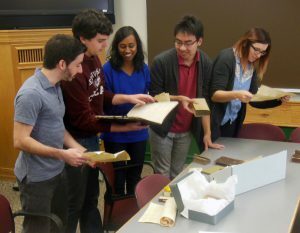 Students also edited their course papers together into a book, dividing up editorial tasks, copy editing, typesetting and learning by doing the process of transforming text into a physical codex. 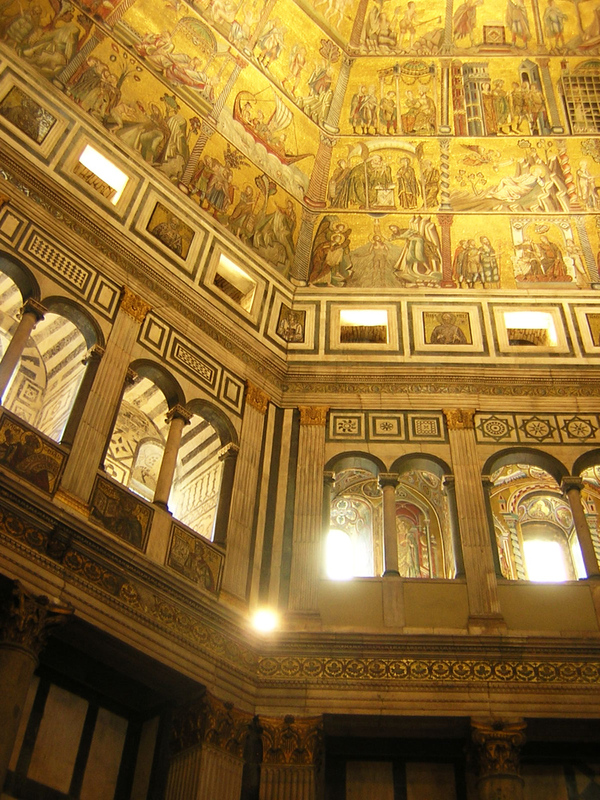 In 2016 I will offer a two quarter graduate seminar on “Patronage and Culture in Renaissance Italy and Her Neighbors” which will teach students how to trace and consider the networks of power, inequality, funding and cross-class influence that surrounded the production of Renaissance cultural artifacts, from books and poems to paintings and buildings. I primarily work with students in the Early Modern Europe field. I am interested in advising students who want to focus on Renaissance humanism and intellectual culture broadly, on Renaissance Italy especially Florence and Rome, and students interested in studying the long-term reception of classical material after antiquity, the history of the book, or the long-term history of radical thought, especially from the Renaissance through the Enlightenment. I also serve as a secondary adviser for students focusing on other areas whose projects involve classical reception, radical thought, or the aftereffects of humanism and its educational program. Students interested in applying to work with me on a Ph.D. at the University of Chicago should contact me at adapalmer at uchicago dot edu. Language skills are a major prerequisite for working with me, especially on the Renaissance, and applicants (at least in Renaissance) should in general have some skill with Latin as well as one modern language (Italian, French or German); familiarity with ancient Greek, a second modern language, and/or experience with post-classical Latin are helpful but not required. If you are interested in working with me but do not yet have the necessary language skills, you are welcome to contact me regarding appropriate post baccalaureate or MA programs. For post bac language training, often the best choice is whatever is local and practical for you, but for more Renaissance-specific training I particularly recommend the Warburg Institute, the University of Warwick, and the Paideia Institute.